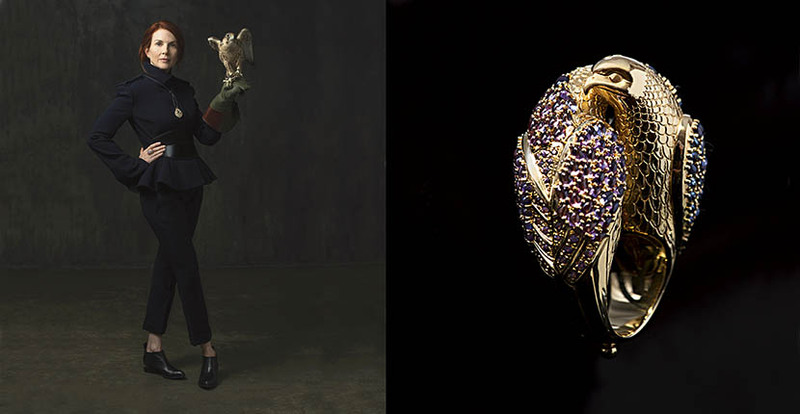 As someone who has written a book or eight—but who’s counting—I am in awe of the individuality and creativity of the contemporary jewelry tomes published this 2016 holiday season. To name but a few, there are the imaginative compendiums by Stellene Volandes and Olivier Dupon and the magnificent monograph of Taffin about the work of James de Givenchy. 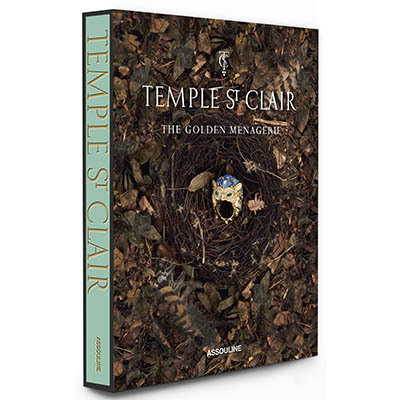 Now, Temple St. Clair has delivered Golden Menagerie published by Assouline. It’s hard for me judge one over the other because, as I said, they are all unique. But I will say this, Temple hands down wins the prize for the best author portrait ever. I mean wow! In just one picture she gets across the idea of the entire book. The designer poses in the style of a renaissance portrait wearing a couple of pieces of jewelry, a peplum top, black slacks and brogues. One hand rests on her hip and her other gloved hand is up in the air holding a falcon. 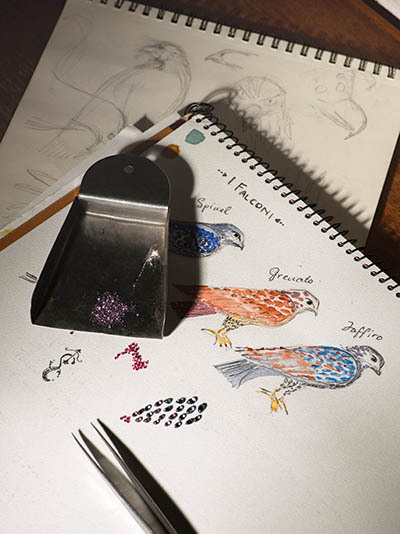 In Golden Menagerie the reader is taken through the creative process for just the animal jewels. 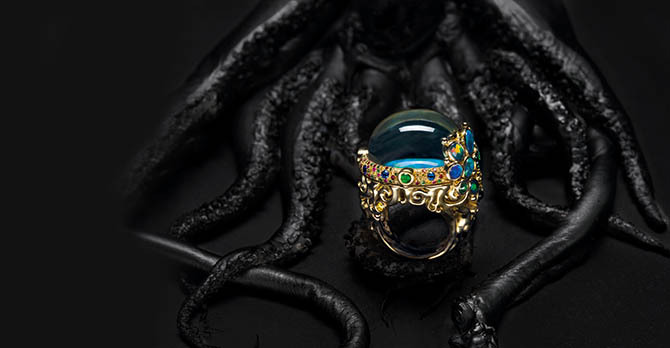 It is all illustrated with Temple’s magical sketches, colorful designs and some unmounted settings made by her craftsmen in Florence as well as, of course, the completed jewels. In addition to the original photographs by Chris Roman Robert Clark and Harald Gottschalk, there are also lots of art history images and erudite quotes to set a dreamy mood. At the beginning of the book Temple who has been making jewels for thirty years writes, “I am still learning to be a jewelry design but I am a storyteller!” As someone who has been writing stories about jewelry for just about the same amount of time, I am going to have to disagree with my friend. She is accomplished in both of the arts.